GAINESVILLE, Fla., April 15, 2019 /PRNewswire/ — SantaFe HealthCare today announced Lawrence (Larry) Schreiber, an accomplished healthcare executive with over 30 years of experience, has been named president and CEO. Prior to joining SantaFe HealthCare, Schreiber served a dual role as president and CEO of Empire Blue Cross Blue Shield and the CEO of Wisconsin Collaborative Insurance Company (WCIC), both Anthem companies. In these two positions, Schreiber had a variety of responsibilities including P&L management over one of New York State’s largest health plans. He oversaw a range of business segments, including the successful operationalization, launch and growth of WCIC in Wisconsin. To ensure the success of both companies, Schreiber developed and led multi-pronged near and long-term strategies during his tenure. Schreiber joined Anthem in 2006 and served in multiple roles during his time with the organization, including leadership at UniCare Life and Health, an Anthem subsidiary. His promotion to president and general manager of Blue Cross Blue Shield Wisconsin led to his most recent dual-leadership role at Empire Blue Cross Blue Shield and WCIC. 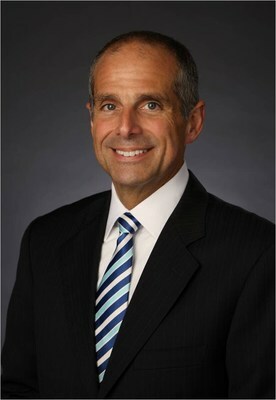 Before joining Anthem, Schreiber held a number of executive management positions including vice president of sales and regional vice president at UnitedHealth Group, vice president at Midwest Security Insurance Companies and as an employee benefits representative at Aetna. Schreiber earned his Bachelor of Science in business management with a minor in management information systems from the University of Tampa. In addition to other certifications, he attended the Wharton School’s Business Executive Leadership training and is a Certified Employee Benefit Specialist. Schreiber was also an active member of the Wisconsin community. He served as chair of the American Cancer Society’s «CEOs Against Cancer,» and held board seats with Competitive Wisconsin Inc., the Alliance of Health Insurers, the Wisconsin Health Information Organization (WHIO) and GeoBlue, an international benefits company. In 2015, Schreiber was named a «Health Care Hero» by BizTimes Media. A thriving, community-based family of not-for-profit Affiliates, SantaFe HealthCare operates Miami-based AvMed, a health plan serving the commercial, individual and Medicare Advantage markets, Gainesville based Haven, an advanced illness and end-of-life company, three SantaFe Senior Living communities in Florida, The Village at Gainesville, East Ridge at Cutler Bay, and The Terraces at Bonita Springs, as well as SantaFe Village, a real estate development company. From its corporate campus in Gainesville, each SantaFe Affiliate owns a piece of the healthcare continuum and each collaborates to deliver service excellence to Floridians through all stages of life.